We deserved nothing from that. Now I see why Chong was dropped - barely had a meaningful touch all game. Poor old Yajima! The last ten minutes you were all over us. Possession must have been 80-20 or something similar and I lost count of the number of fouls we gave away. No doubt who was playing the better football for the vast majority of that match. I think you lot have worked out that if you don't let us counter-attack we can be made to look very ordinary. I actually thought you were beginning to run out of steam around the 70-minute mark. The arrival of Renatinho certainly gave you a bit more to think about. 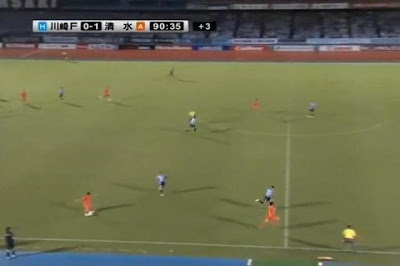 Then Kengo starts giving the ball away uncharacteristically cheaply and it's 1-0. I'm just glad he got the chance to make amends. Incidentally regarding Wednesday, I'm thinking if I can't get onto a bus, what I may do is take the regular train to Shizuoka and take the Shinkansen home. Game ends at 9, last train is 10:24. Would I make it in time? As for making that train, yeah, you *should* be fine. If you jump on a Shizuoka bound shuttle bus right after the game you should be back to the station around 10. Being the cup and a week night it shouldn't take that long to get away from the ground. That one is absolutely on site, very unfortunate for our team but as you said, we will be facing 3 weaker team next. Let's hope our boys will beat the FC Tokyo and carry the momentum and beat next three games of the regular season. Oh my god! Terrible offside decision! Thanks, I will spread the word on this one. 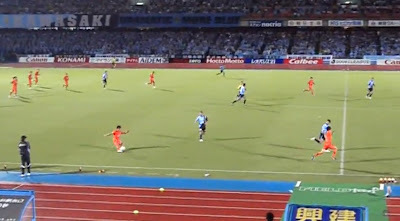 As for the free kick, Okazaki pulled him back by the shoulder VERY slightly, NO way enough to send him down - but he went down and Okazaki can't complain as he DID "impede" however slightly.... ! NOT OFFSIDE! Well, it was Juninho so I guess we expect nothing less. Good riddance. Hope he never plays in Japan again. And the phantom offside? Absolutely shocking decision. 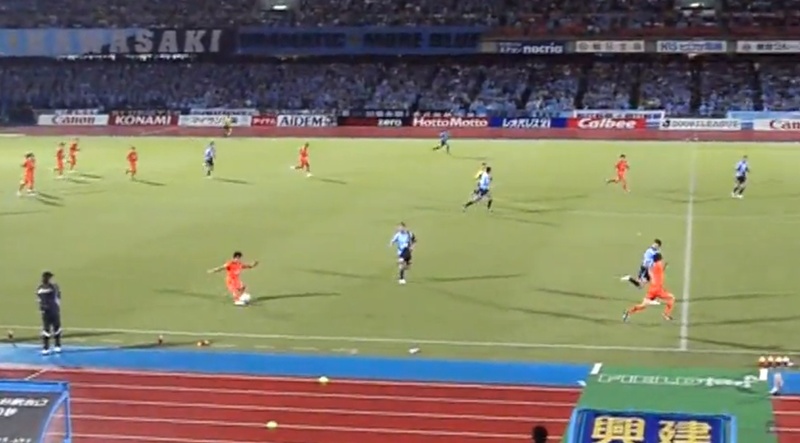 Ichikawa was clean through having beaten the defender.